All right, folks. Here is my first foray in posting photos on this blog. I see that Vi has bravely led the way, so I figure if I can’t do it she deserves to make fun of me until the end of time. And if she doesn’t, I am sure Rick will. Anyway, here it goes. 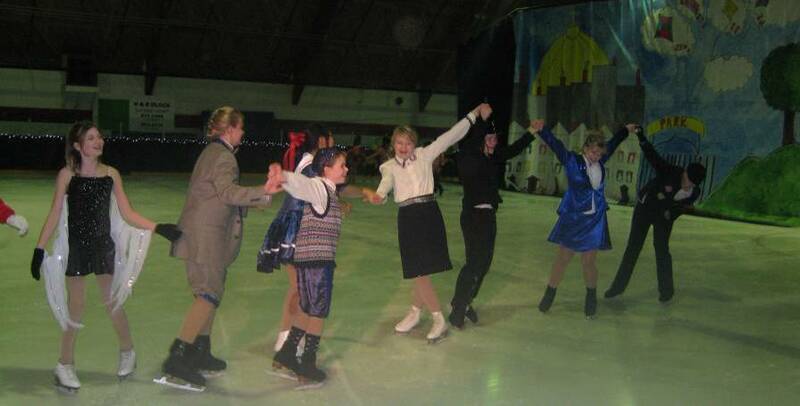 These pics are from the Fort Smith Figure Skating Club Carnival, which took place February 23 and 24, and was a production of “Mary Poppins” this year. You have already heard a couple of viewpoints on the show, so let’s get to some images. For those non-Fort Smith friends who are wondering why this is getting such attention, I should explain the signficance of the carnival to the James Family. Alex and Luke are both regular (and keen) particpants in the show, as is Claudette as part of the Fort Smith Fury hockey club, which does a humourous little number each year. Rick is the behind-the-scenes-guy, building props, painting scenery and carrying out other elements of production design. With that quick explanation, let’s look at some pics. Apologies for quality beforehand. 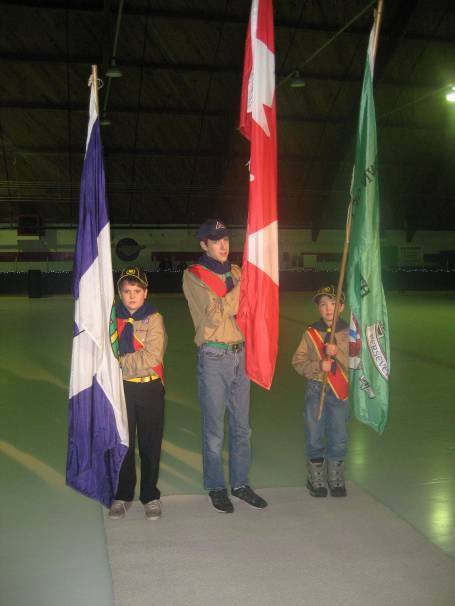 At the start of the show we had the singing of O Canada and the colour guard. On day two it was Josh, David and Ian. Here we have the full cast of the show in front of the backdrop. 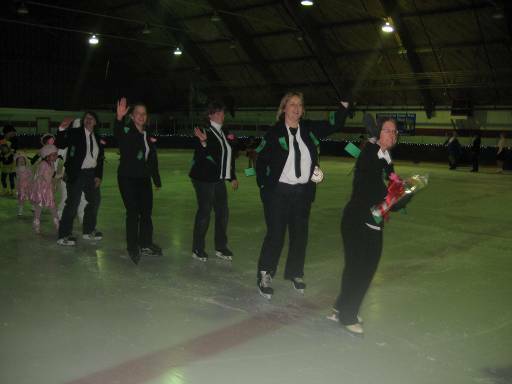 In this photo, the main cast is about to do their bow at the end of the second show. Here is, right to left, Carolyn Gill, as Mary Poppins, Jillaine Cummings as Mr. Banks, Larissa Korol as Mrs. Banks and Kathleen Gill as Jane Banks. 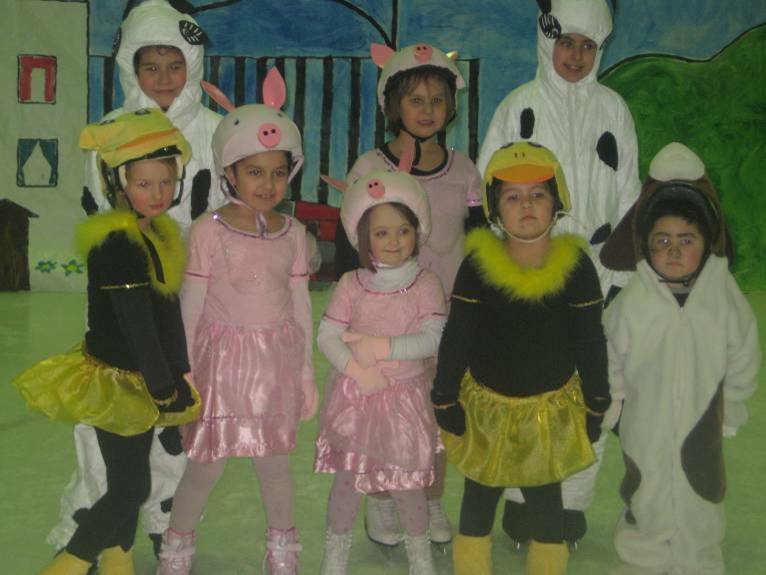 Here is a close up of the farm animals, with (shameless paternal plug warning!) my Gracie-girl front and centre. 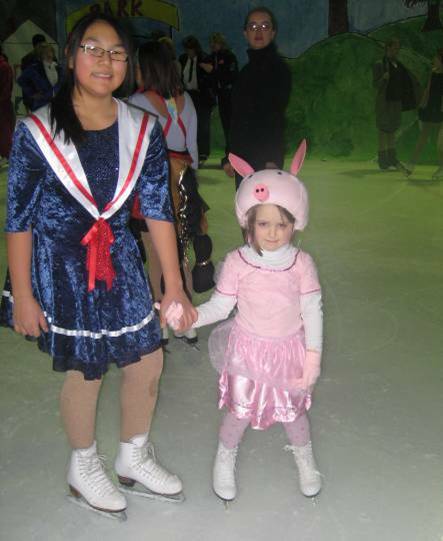 Here is Kathleen leading a very tired Gracie off the ice. It was long weekend for a four-year old, but she held up well right until the end. And that’s it! My camera didn’t allow me to get any good action shots, but once I get some I will post those as well. This entry was posted on Monday, February 25th, 2008 at 14:48 and is filed under Fort Smith & Area. You can follow any responses to this entry through the RSS 2.0 feed. Both comments and pings are currently closed. 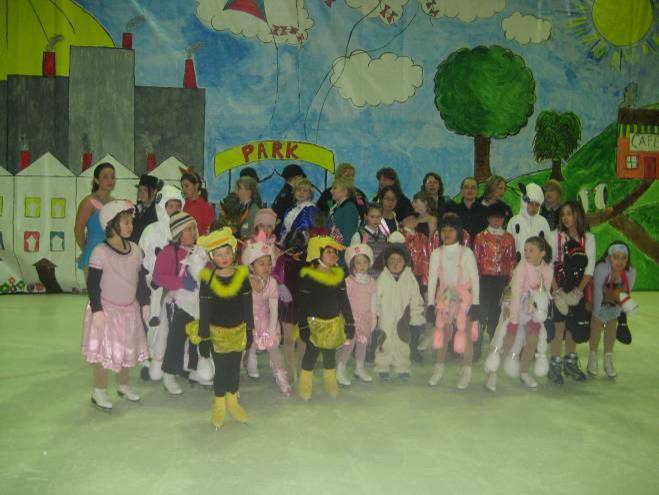 THANK YOU VERY MUCH for your pics of the carnival!